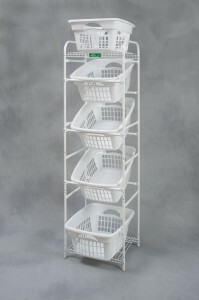 All Basket contents are visible. 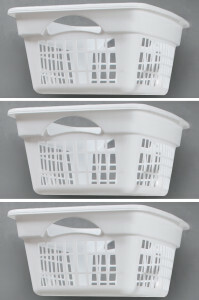 Contents can be removed without disturbing other baskets. 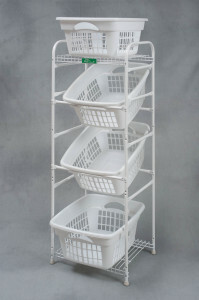 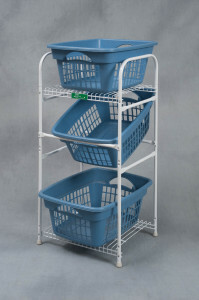 Any basket can be removed without disturbing other baskets. 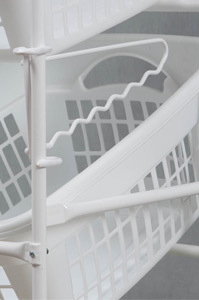 removed by pulling the basket forward under the front support bar. 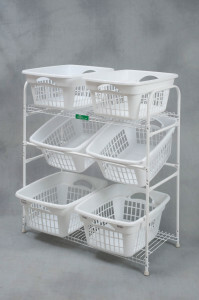 Recommended optional basket if more baskets are needed to fill your Basket Buddy. 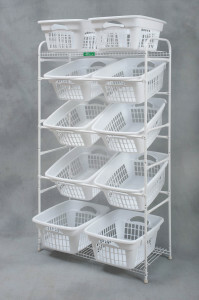 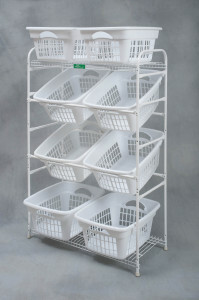 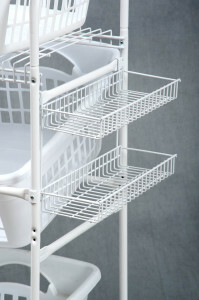 Easily hang clothes on hangers with this clever Basket Buddy accessory. 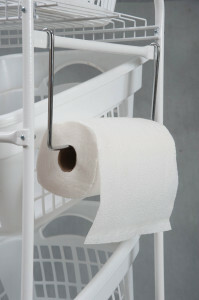 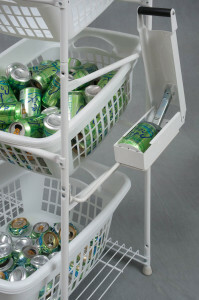 Can be u..
Keep paper towels near-by by hanging them on your Basket Buddy. 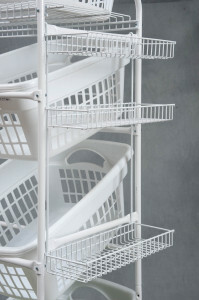 Can be used on a..